Interested in learning more about Airstream RVs and what makes them so special? These RVs are truly a cult classic and favorite among many RVers because of their high quality construction, vintage exterior, and modern interior. Additionally, there is a sense of nostalgia that comes along with owning an Airstream and a unique “club” you kind of become a part of. As you learn all about Airstream you’re likely to be just as impressed with them as we are. 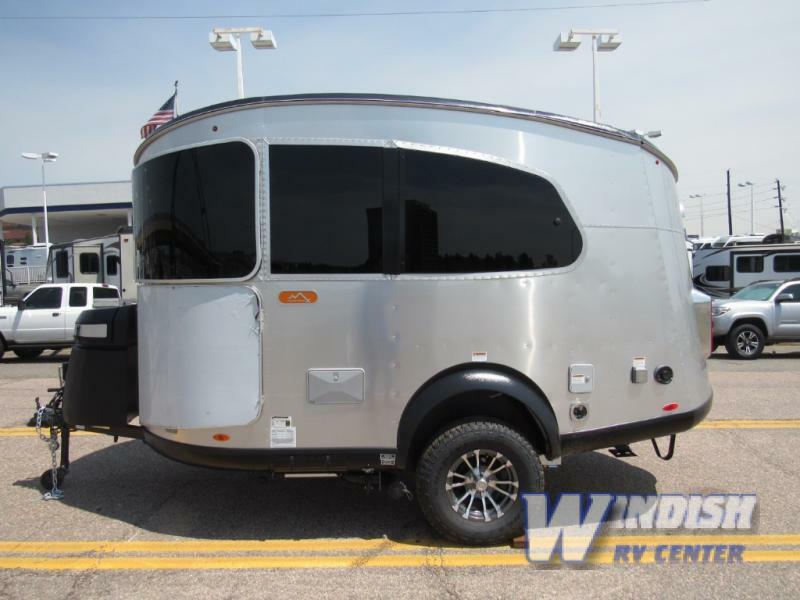 Aistream Basecamp is a newer model that is perfect for those seeking an entry level travel trailer. The most distinctive thing about Airstream is the unique rounded shape and aluminum body. It’s a look that started in the 30’s and is still something that sets them apart from other RVs today. Fun fact: the Airstream was originally designed by Hawley Bowlus, who oversaw the construction of The Spirit of St. Louis, hence the similarities in appearance. Airstream RVs are manufactured in the United States in Jackson Center, Ohio, which they moved to from California in 1952. The company has grown to employ more than 800 people, making it a great American company that continues to emphasize working in its community (by employing workers from the area). In 1936 there were over 400 travel trailer builders in the United States and Airstream was the only on to survive the Great Depression! That’s a testament not just to their quality, but also to the trust people have in Airstream products. 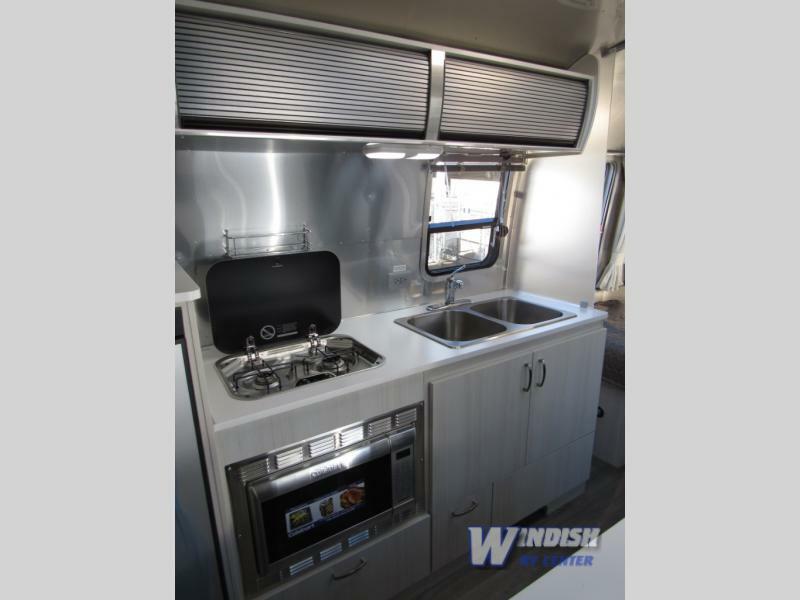 The interior of the Airstream Sport travel trailer offers a lovely kitchen that’s well equipped with everything you need to bring out your inner culinary genius. In 1979 Airstream began to build class A motorhomes, which didn’t require a vehicle to move from campground to campground. Original class A Airstreams started at 24′ and 28′ in length and now go well past 30′. Airstream produces 50+ trailers a week, yet doesn’t skimp on the quality they’re known for. They continually innovate and are dedicated to providing customers with the best features at a great price. It’s one of the many reasons we are so proud to be Airstream dealers. If you’re interested in learning more about our selection of Airstream RVs for sale, contact us. We’re here to help you find the right RV for your needs and answer any questions you have.